The 16pf questionnaire (16 personality factors) is a highly effective tool that reveals potential, confirms suitability and helps identify development needs. 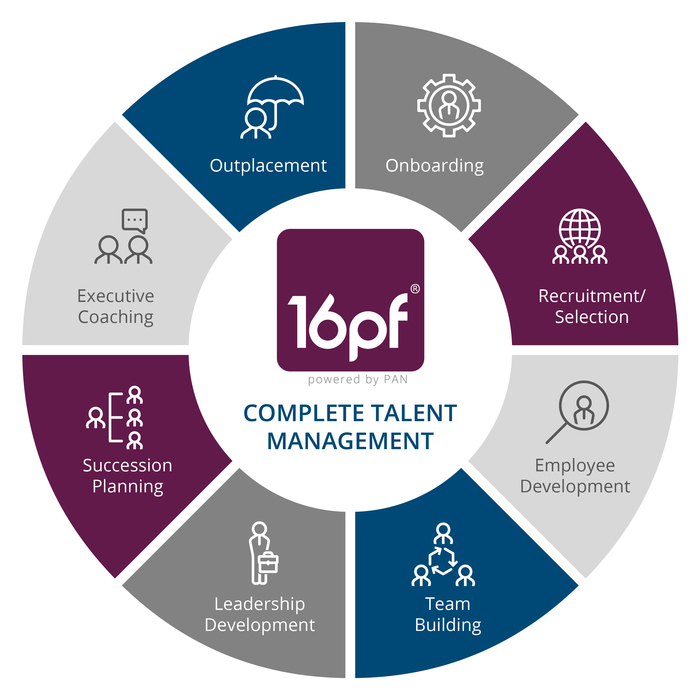 Unlike many personality assessments designed for use in business, the 16pf assessment establishes a fully rounded picture of the whole individual. The 16pf assessment gives a complete picture by measuring personality in both the professional and personal spheres. Its accurate predictions of behaviour and potential provide businesses with an enlightened confidence that steers staff selection and individual development. This unique depth and breadth of insight, along with more than 60 years of research and application, has earned the 16pf questionnaire international renown and respect. The results of the 16pf questionnaire can be grouped according to the ‘Big Five’ model of personality. This model was shaped by Raymond Cattell’s research (his second-order factor analysis) which identified five broad dimensions of personality and has become a widely accepted model at the base of many other trait-based assessments. The five global factors give a useful overview of an individual’s personality, however the 16 Primary Factors provide better information for predicting behaviour and performance. With its strong research foundation, Cattell’s 16pf questionnaire provides practitioners with the confidence and credibility to make important people decisions. Call us now on 01483 752 900 to book your 16pf training. How do I buy the 16pf questionnaire? Arrange restricted access under the supervision of our consultancy team. Looking for a consultant to deliver the 16pf assessment for you? Email PSI about our UK 16pf Consultancy Supported Services, or find a partner outside the UK.